Quelques montres de la brillance et du bruit, sur présentoirs. 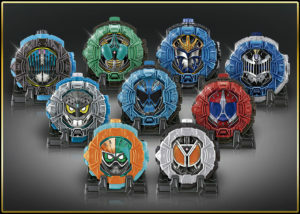 Some watches of bright and sound, on display stands. 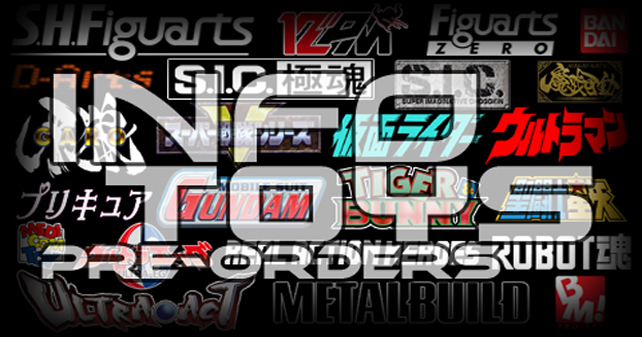 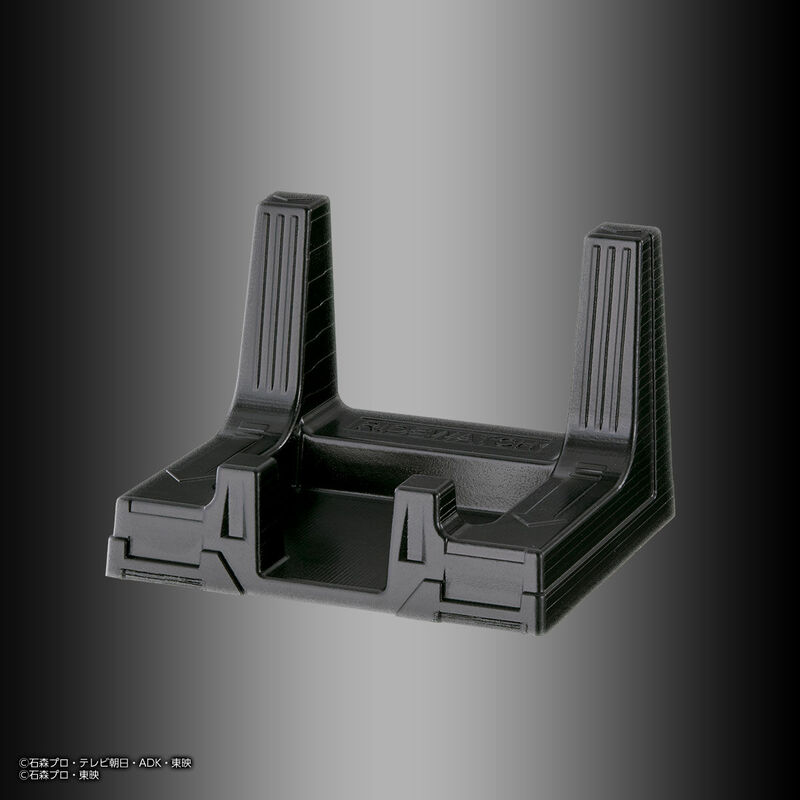 Prix/Price : 9999 ¥ (~ 79 €/~ 89 US $). 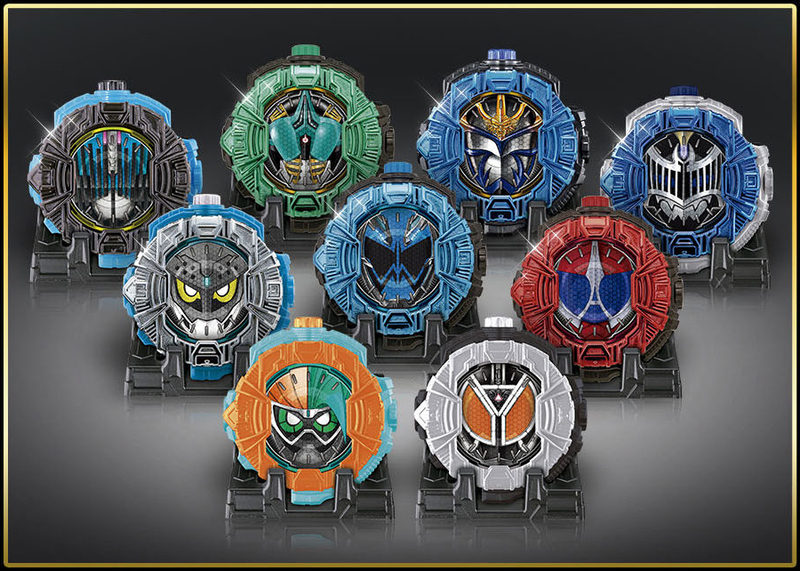 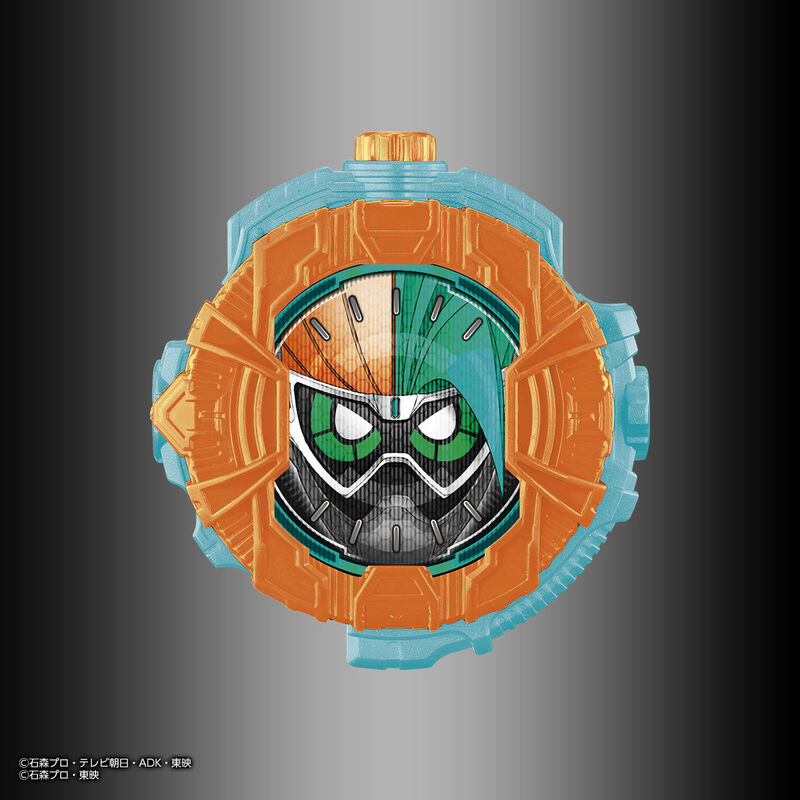 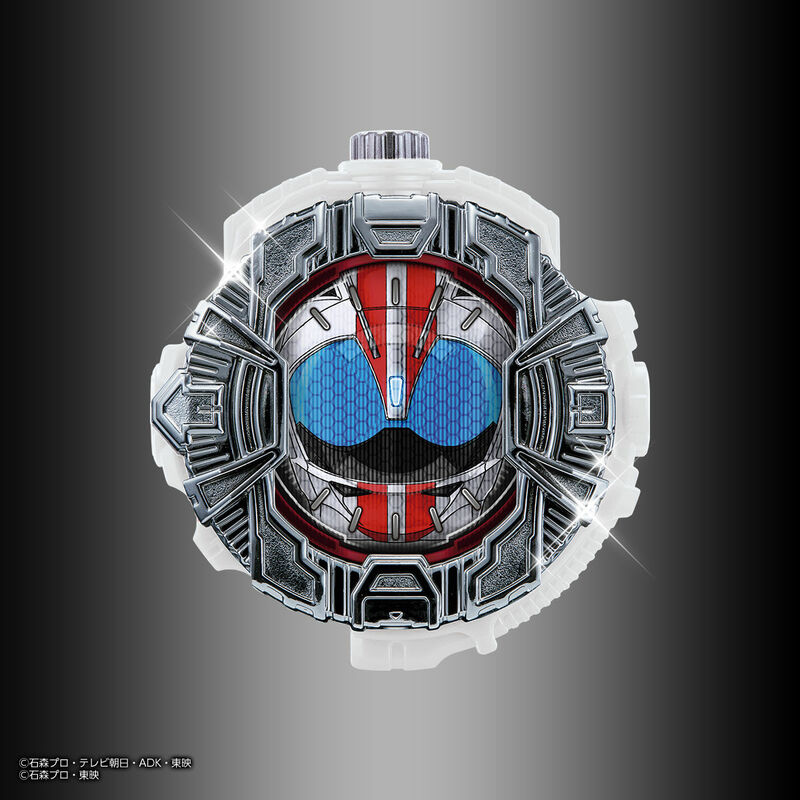 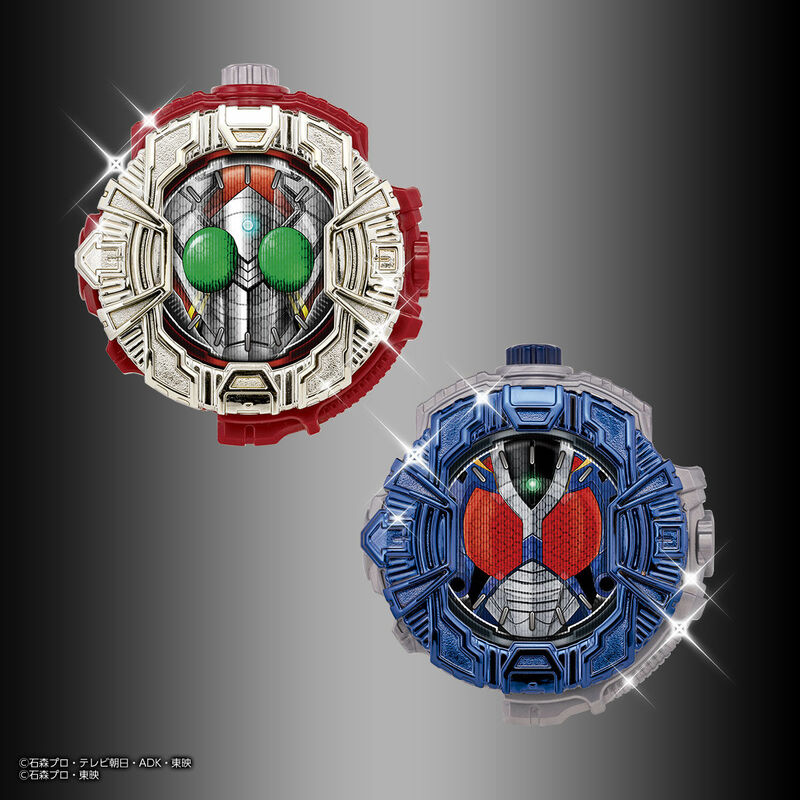 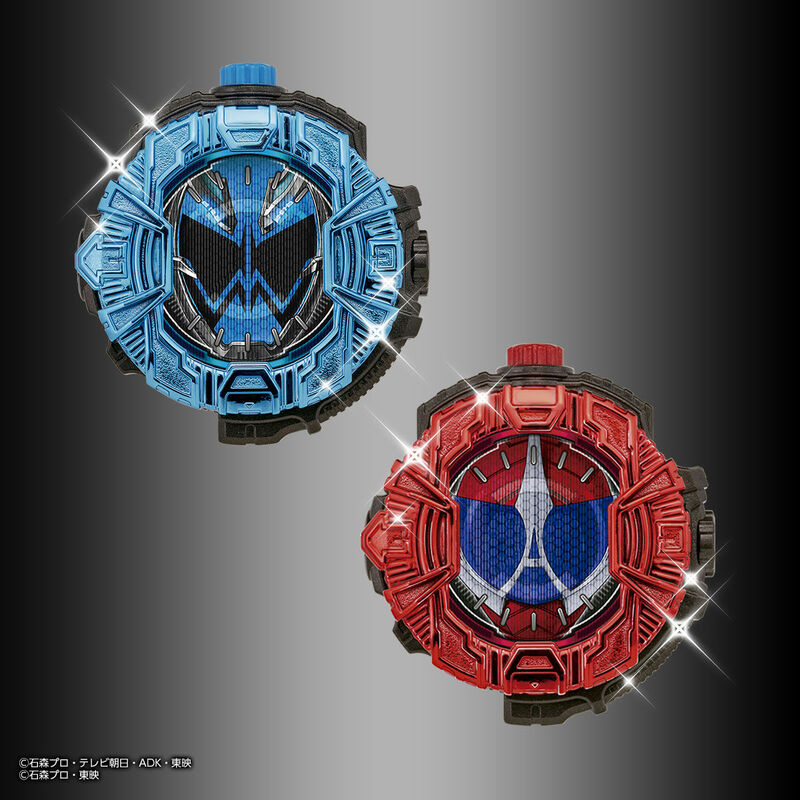 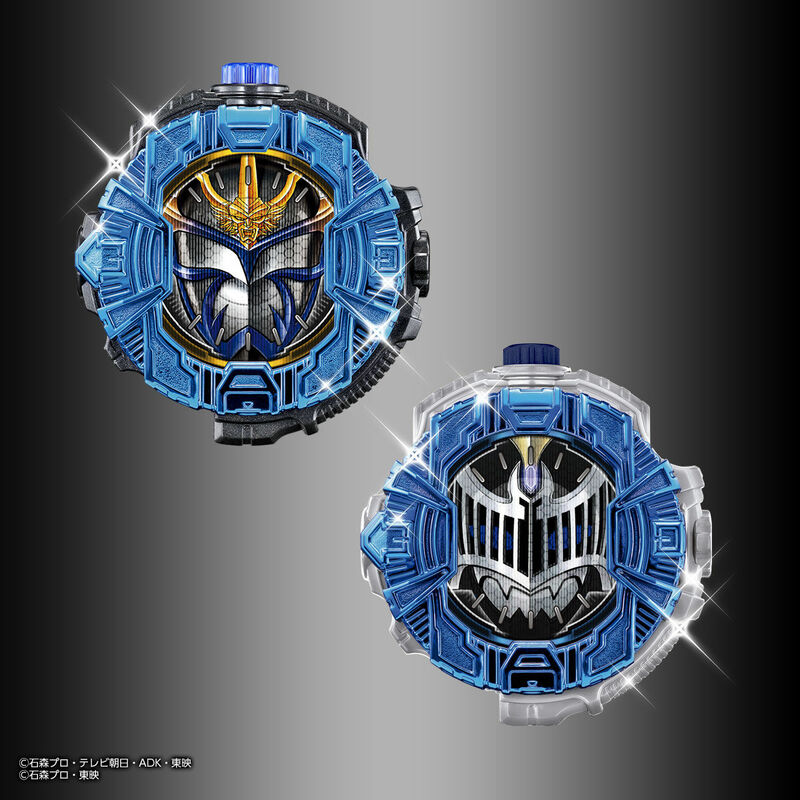 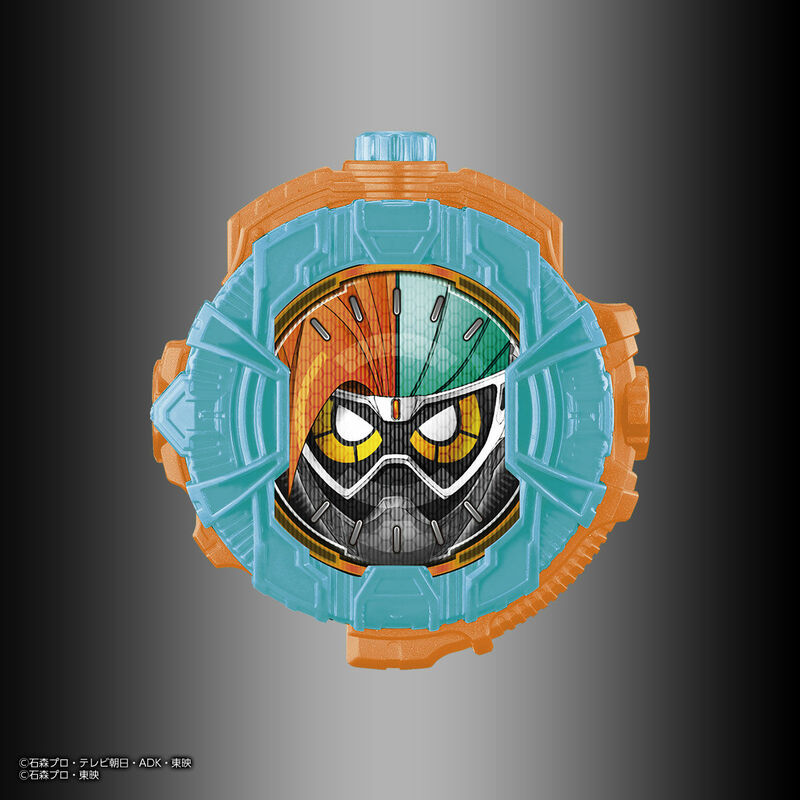 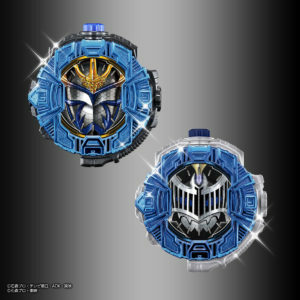 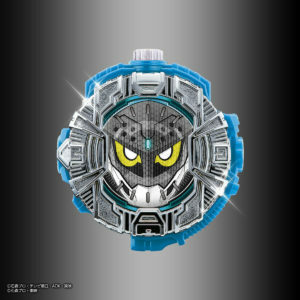 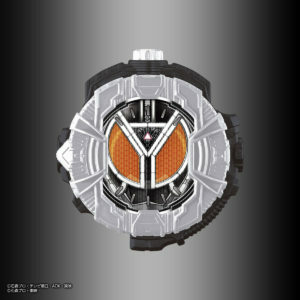 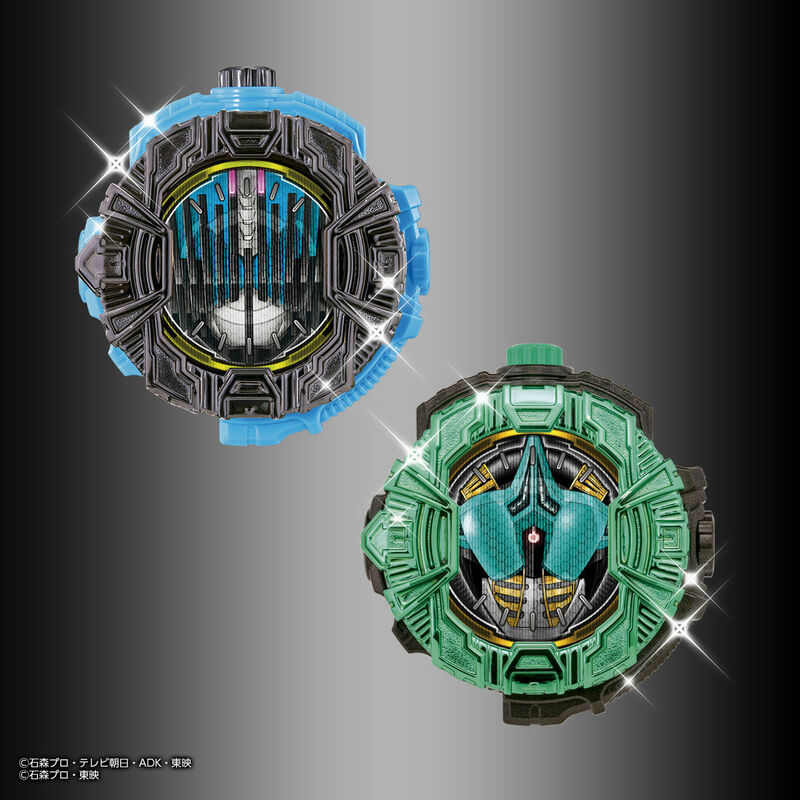 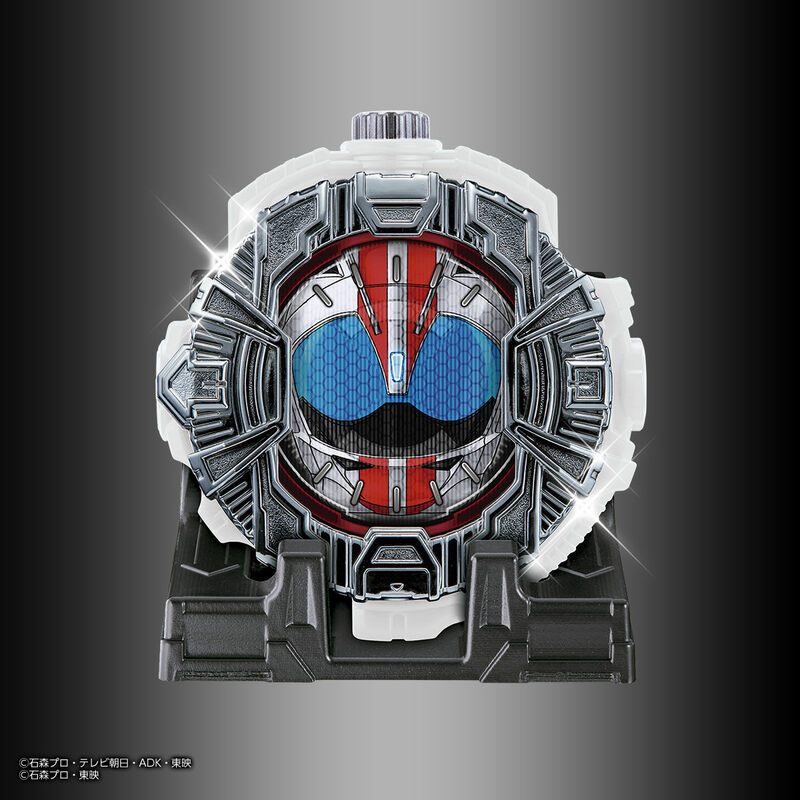 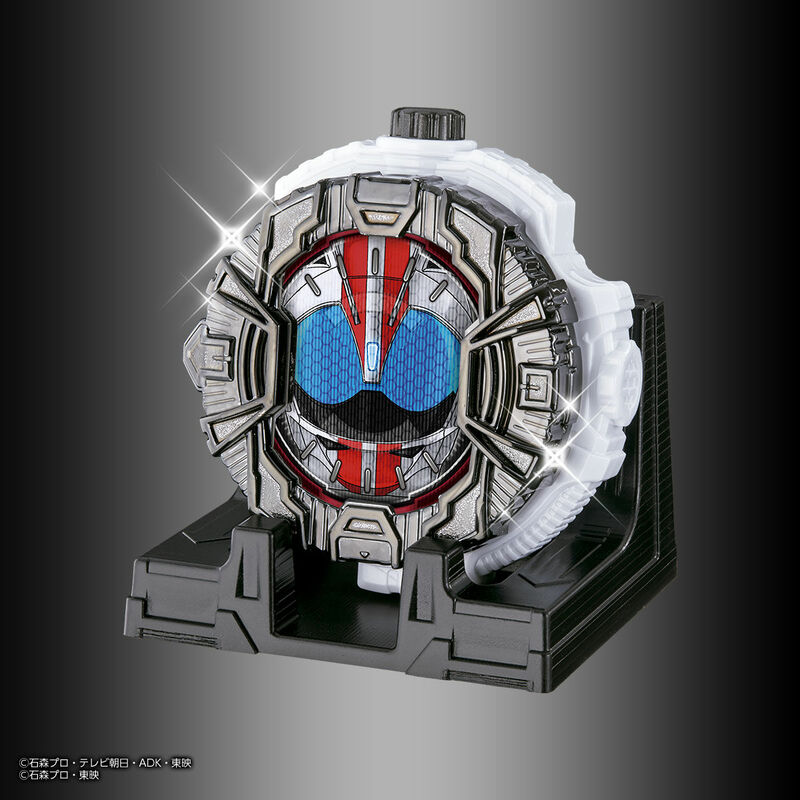 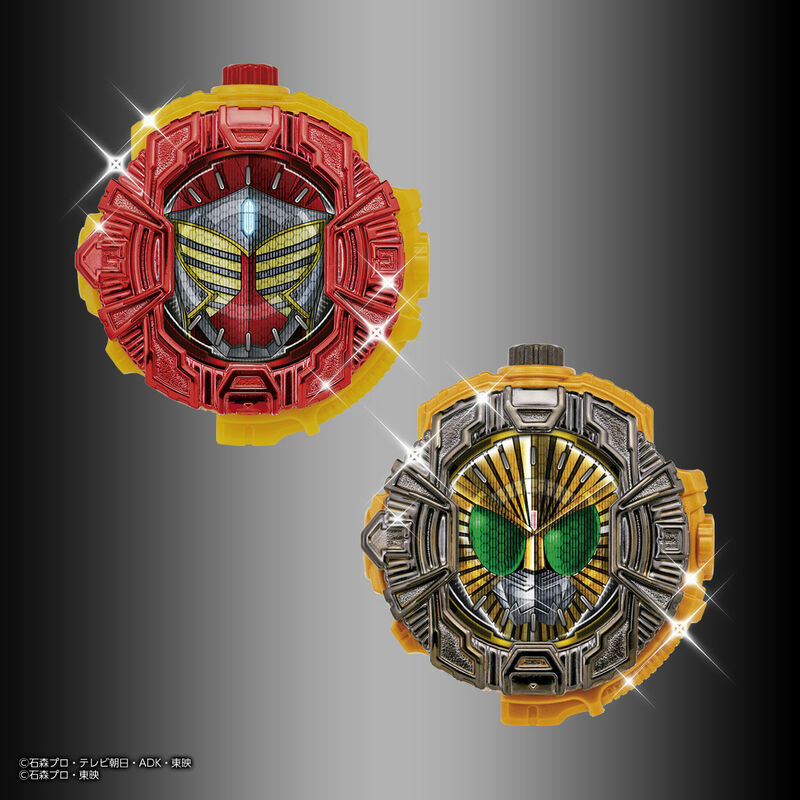 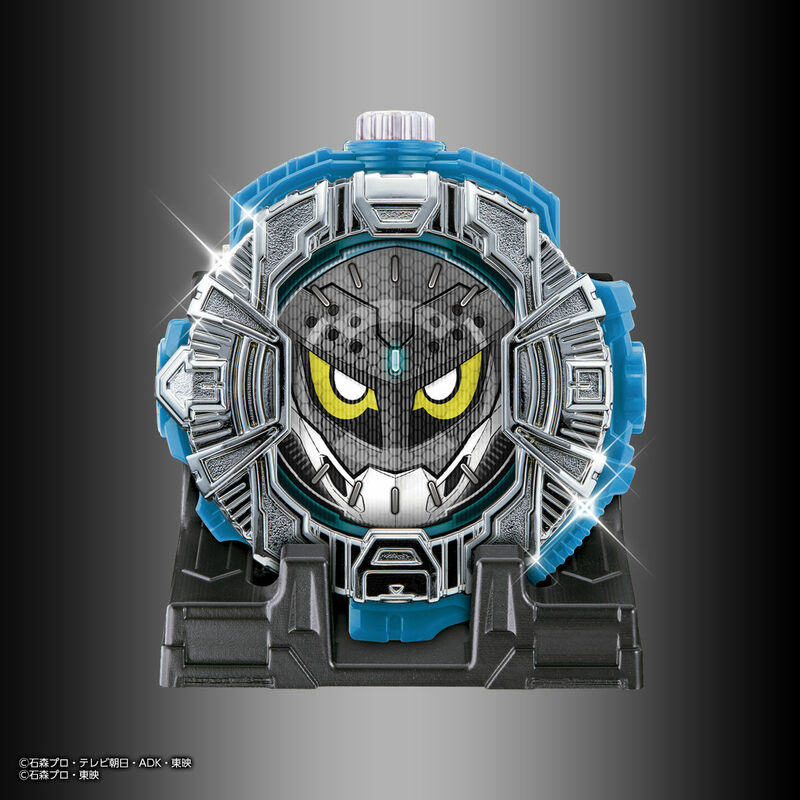 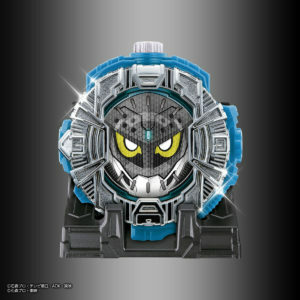 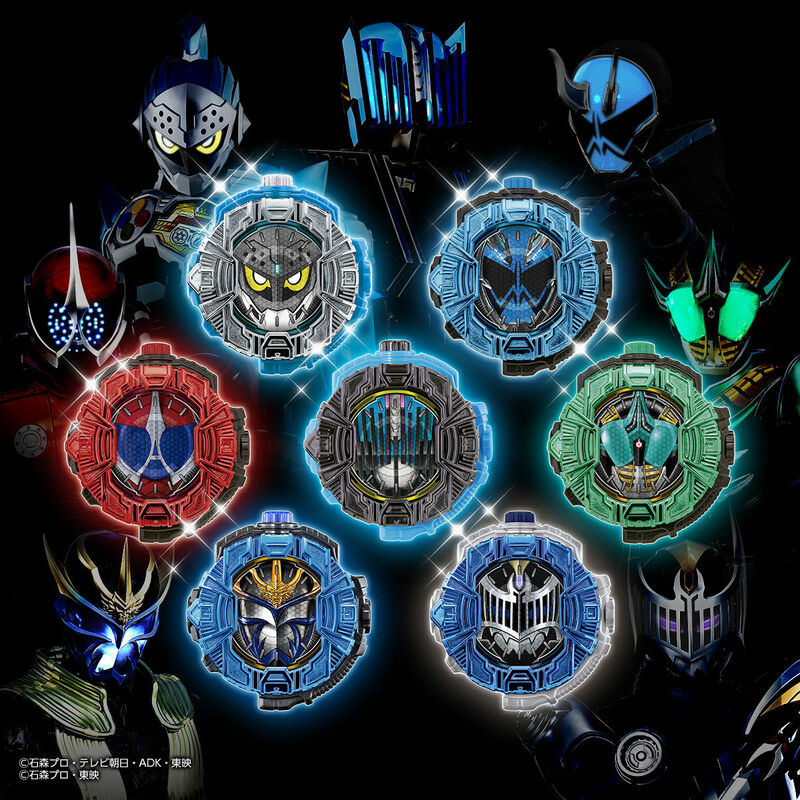 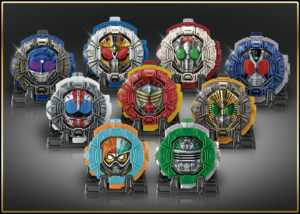 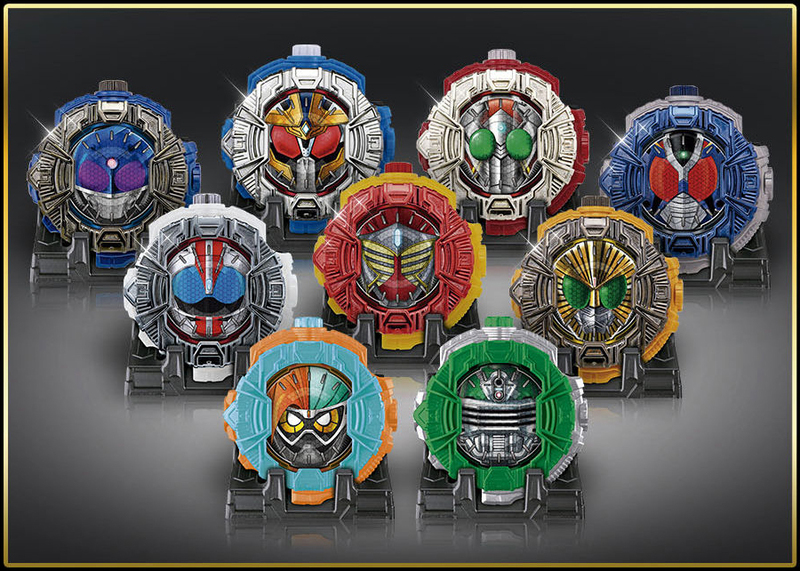 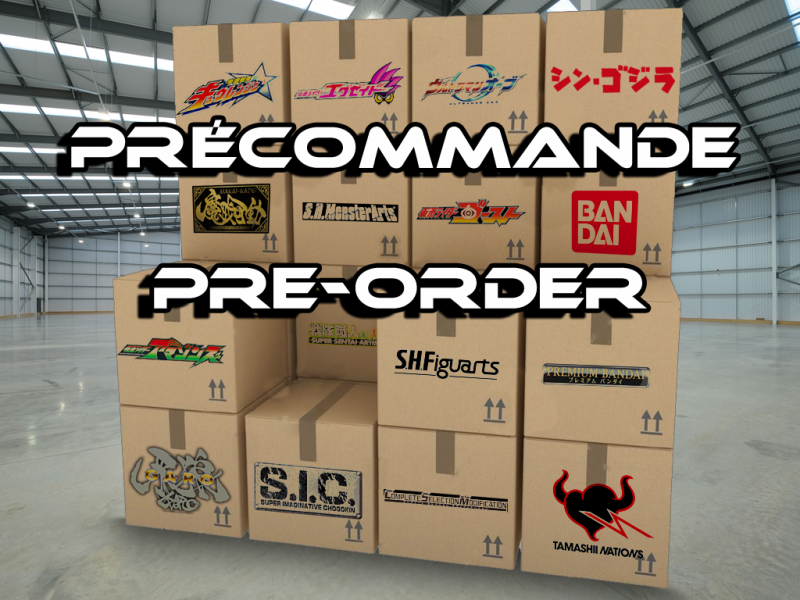 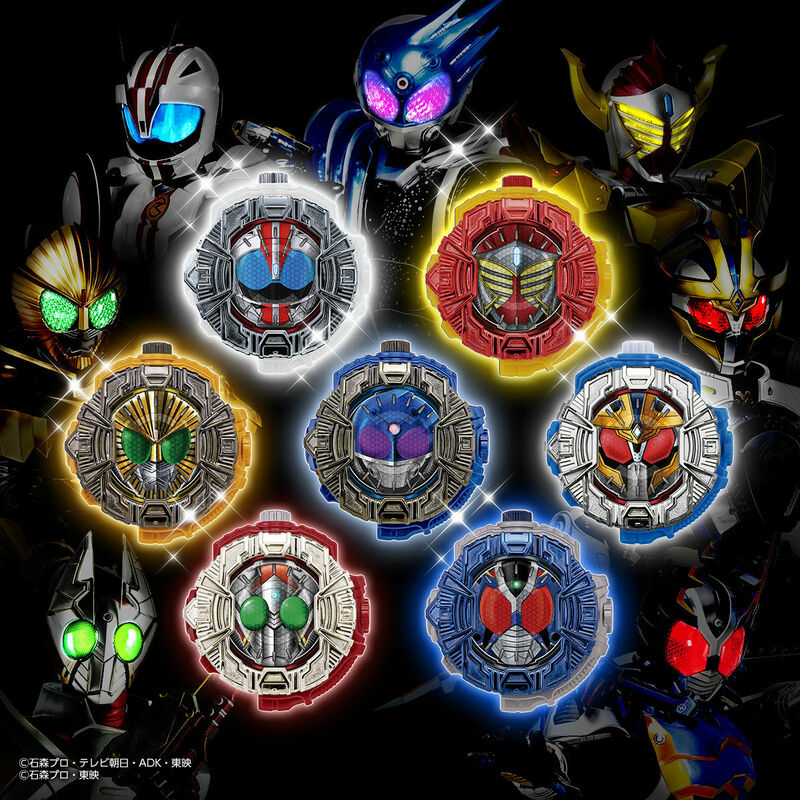 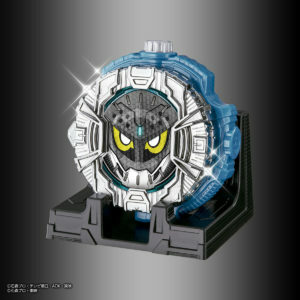 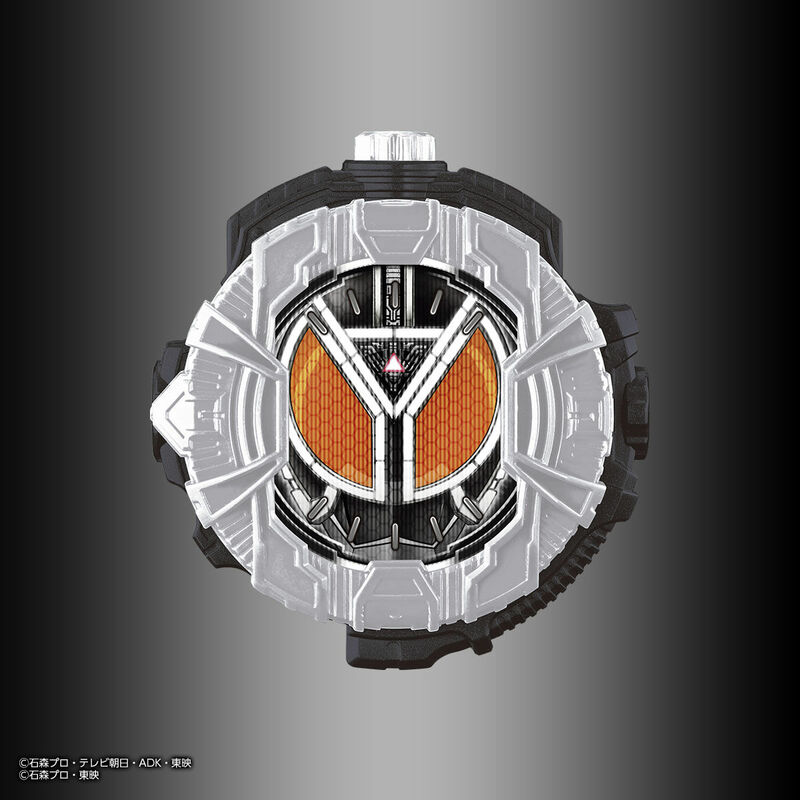 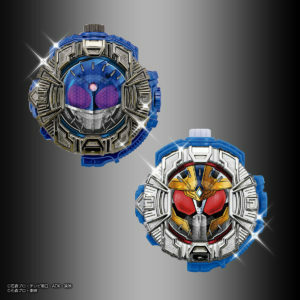 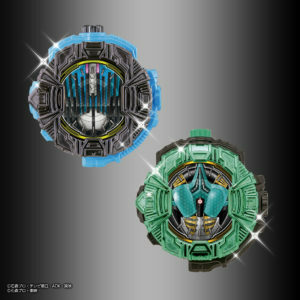 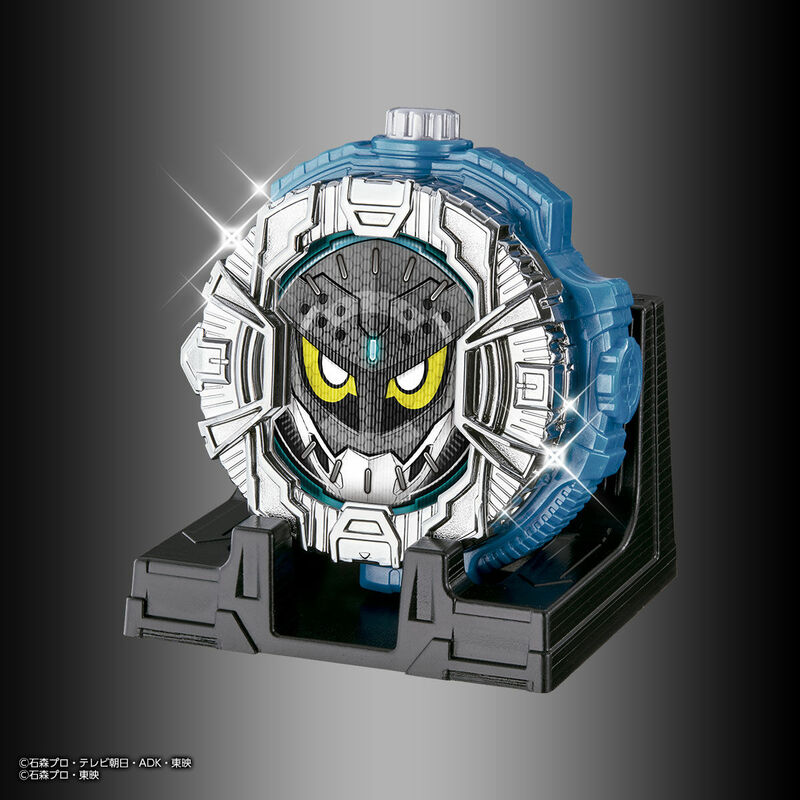 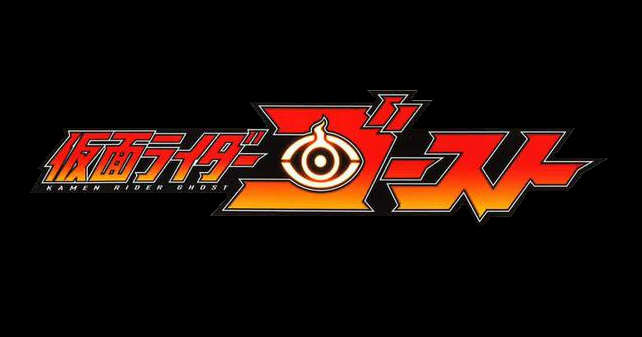 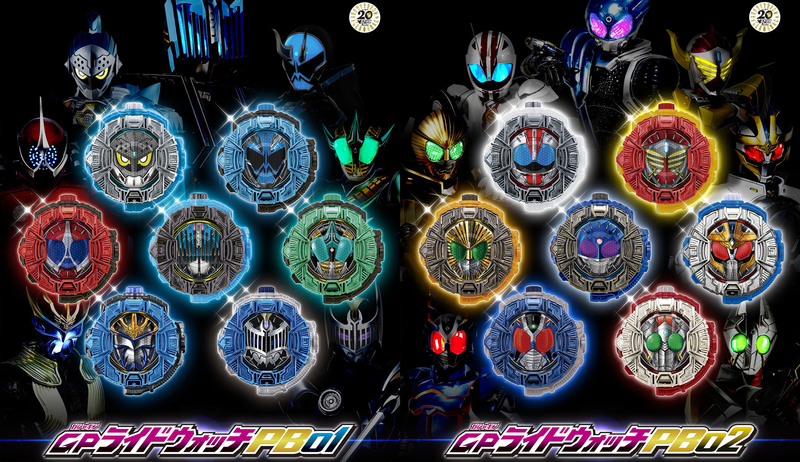 Contenu/Contents : La Kamen Rider Brave Ridewatch (version brillante), la Kamen Rider Specter Ridewatch (version brillante), la Kamen Rider Accel Ridewatch (version brillante), la Kamen Rider Diend Ridewatch (version brillante), la Kamen Rider Zeronos Ridewatch (version brillante), la Kamen Rider Ibuki Ridewatch (version brillante), la Kamen Rider Knight Ridewatch (version brillante), la Kamen Rider Ex-Aid Double Action Gamer XXL Ridewatch, la Kamen Rider Delta Ridewatch, neuf présentoirs et la notice/The Kamen Rider Brave Ridewatch (shiny version), the Kamen Rider Specter Ridewatch (shiny version), the Kamen Rider Accel Ridewatch (shiny version), the Kamen Rider Diend Ridewatch (shiny version), the Kamen Rider Zeronos Ridewatch (shiny version), the Kamen Rider Ibuki Ridewatch (shiny version), the Kamen Rider Knight Ridewatch (shiny version), the Kamen Rider Ex-Aid Double Action Gamer XXL Ridewatch, the Kamen Rider Delta Ridewatch, nine display stands and the manual. 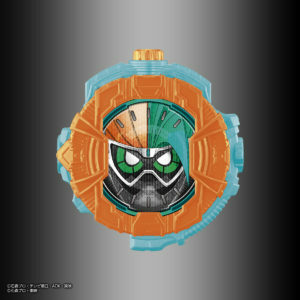 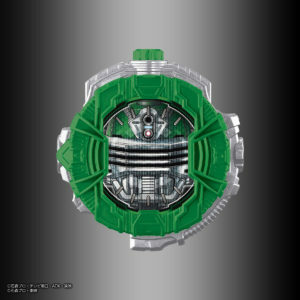 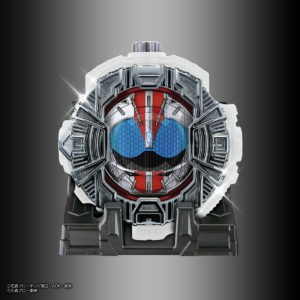 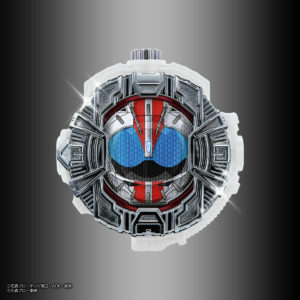 Contenu/Contents : La Kamen Rider Mach Ridewatch (version brillante), la Kamen Rider Baron Ridewatch (version brillante), la Kamen Rider Beast Ridewatch (version brillante), la Kamen Rider Meteor Ridewatch (version brillante), la Kamen Rider Ixa Ridewatch (version brillante), la Kamen Rider Garren Ridewatch (version brillante), la Kamen Rider Gatack Ridewatch (version brillante), la Kamen Rider Ex-Aid Double Action Gamer XXR Ridewatch, la Kamen Rider Zolda Ridewatch, neuf présentoirs et la notice/The Kamen Rider Mach Ridewatch (shiny version), the Kamen Rider Baron Ridewatch (shiny version), the Kamen Rider Beast Ridewatch (shiny version), the Kamen Rider Meteor Ridewatch (shiny version), the Kamen Rider Ixa Ridewatch (shiny version), the Kamen Rider Garren Ridewatch (shiny version), the Kamen Rider Gatack Ridewatch (shiny version), the Kamen Rider Ex-Aid Double Action Gamer XXR Ridewatch, the Kamen Rider Zolda Ridewatch, nine display stands and the manual. 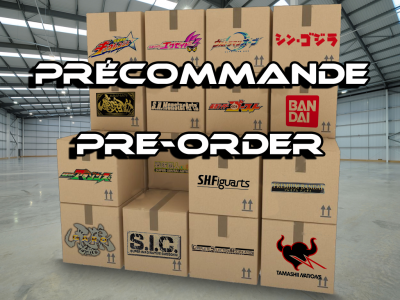 Next Post Next post: Révélation ! 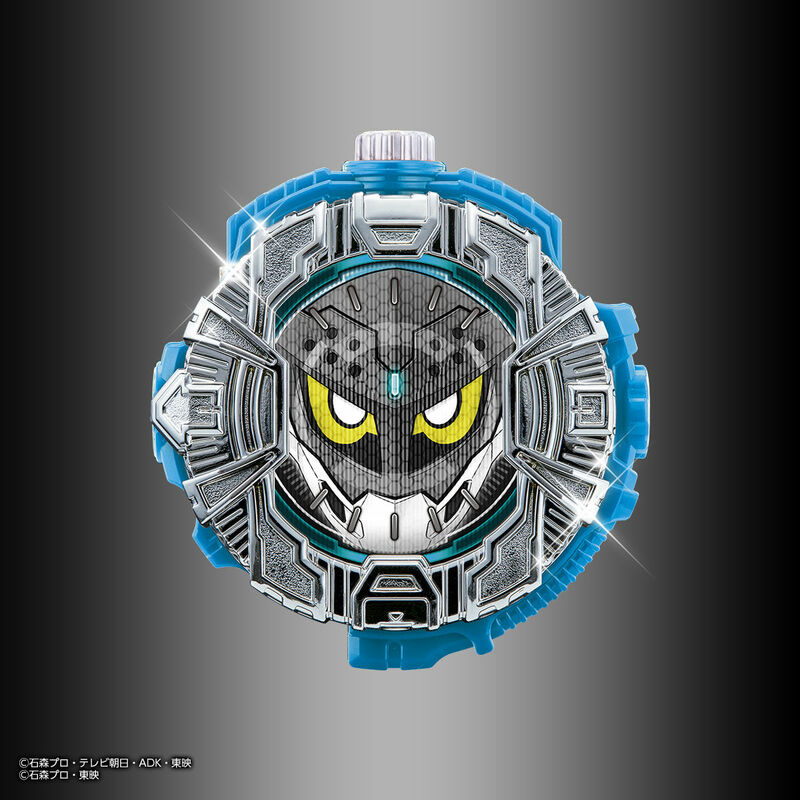 Ultraman Taiga !